It is never too late to invest in gold and silver bullion. The golden rule that many investors follow is to put a fixed amount of money towards both gold and silver bullion every fortnight from their income regardless of the price. For example, if you can afford only 5 grams of gold bullion bar and 100 grams of silver bullion bar every fortnight, then this will accumulate to a large quantity over time. Some people advocate having a percentage of your finance in gold and silver bullion. Over the years this has been between 7%and 20%. But this has changed drastically from the time when the first wave of the global financial crisis started in 2008. Keep in mind that the main reason people invest or buy gold and silver bullion is to protect their finances from currency debasement and financial meltdowns. Nowadays all over the world you have investors who invest from 40% to 60% of their finances in gold and silver bullion. For instance, say you had about $200,000 US dollars as cash reserve in January 2008. You put that money as a term deposit in a bank in the US where the term deposit rate was about 2% per year. By December 2011, you would have received a total of $216,000. So you made a profit of $16,000 in 4 years. Similarly, if you had purchased say gold bullion in January 2008 for $200,000 you would have paid approximately US$860 per ounce of gold. Now in December 2011, the price for one ounce of gold was approximately US$1560. By December 2011, you would have a total of US$361,920. That is a whopping profit of $161,920. So you make the decision- was putting your money in the bank account a sensible choice or was putting the money in gold bullion a better choice? The answer is simple. It would have been much better if you had used your money to buy gold bullion. According to Lloyds TSB Private Banking in the United Kingdom, bullion (precious metals) prices have increased over the last ten years. Commodity prices have risen by 232% since 2001 which is equivalent to a typical annual return of 13%. This is three times the average annual returns from UK equities (4%) and greater than the return from UK residential property (9% per annum) over the same period. The report said that robust demand from developing economies such as India and China and the collapsing US dollar have been the key drivers behind the significant growth in prices of commodities like gold and silver bullion. The US dollar has fallen by almost a quarter (24%) on a trade weighted basis over the decade to August 2011 the report said. The Lloyds report concluded that at a sector level (i.e. precious metals, base metals, energy and agriculture), the price of precious metals has risen by 554% over the past decade, double the increase in energy prices (276%), the second highest performing sector. The price of precious metals has been boosted by investors looking to safeguard the value of their investments from the turbulence in the financial markets in recent years. The fall in interest rates over the period has also boosted the relative attractiveness of holding precious metals instead of cash. The Head of Investments at Lloyds TSB Private Banking said that “Precious metals (gold and silver bullion) have been the best performing commodity over the period, reflecting their position as a hedge for investors against inflation and financial market uncertainty. Their prices have also been boosted by increasing emerging market demand and exceptionally low interest rates. Another characteristic holding precious metal prices in good stead is the absence of counter-party risk – unlike other assets; this one is not a corresponding liability in a counter-party’s books – which can sustain premium valuation in this asset class during periods of extreme counter-party risk aversion". © 2019 . 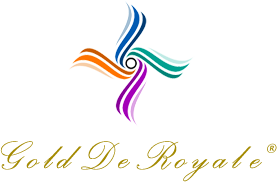 Gold De Royale Pty Ltd, ABN: 80134939272.